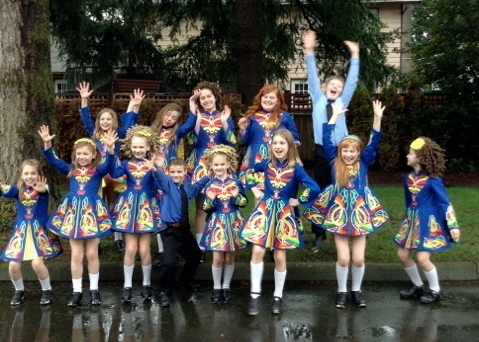 In this class, beginners will learn the basics of Irish dancing. Softshoe only… we begin each class with a proper warm up, followed by dance drills to learn proper technique, memorization and timing of the first two to three dances, ending with a fun dance the kids always enjoy and stretching. By the end of the year they will have learned at least two to three soft-shoe dances to perform at the year end show ‘The Call To Dance’. Some dancers can expect to spend more then a year in this class depending on age and progress. This class also begins with a proper warm up, followed by dance drills, technique training, finishing with the fun dance and stretching. Dynamics in this class are quite different; you will find the dancers divided into more levels depending on progress. Dancers in this class will master four softshoe dances and four hardshoe dances. Dancers at this level tend to practice more at home as they are eager to learn more and reach higher levels. They may be in this class for a few years mastering their technique and dances, depending on how much they practice. Outside training is recommended for stability and injury prevention. Direction is given. This class intensifies as the dancers change a lot of their beginner dances over to the Novice level . . . harder moves, timing, and technique. More show dances are introduced . 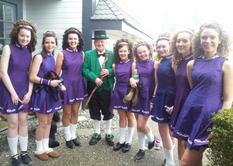 . . some of the dancers favourite - as they definitely turn heads and make the crowds cheer come performance time. *Recommend extra training outside of class time (personal trainer/strength training). We have been lucky enough to work with six time World champion Lauren Early and her partner Robert McAvoy (strength and conditioning coach). They have designed training regimens for each dancer according to age/ability/level. Results are amazing!!! Dancers must have reached the Championship level in competition to attend this class. We train hard to help each dancer reach their personal goals, whether it is Nationals, Worlds, or professional performer. The sky’s the limit! We highly recommend extra training outside of class time (personal trainer/strength training). We have been lucky enough to work with six time World Champion Lauren Early and her partner Robert McAvoy (strength and conditioning coach). They have designed training regimens for each dancer according to age/ability/level. Results a amazing!!! 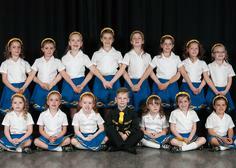 Irish dancing has definitely become a sport, and increased training is needed to reach the higher levels of competition.